During BlizzCon’s Q&A panel, Tom Chilton had a question for us: “What would you think about Karazhan as a five player dungeon in patch 7.1?” The crowd responded, to put it mildly, with unanimous enthusiasm. It’s not difficult to understand why. Karazhan is perhaps WoW‘s single most beloved raid. In an era when most raids had only one difficulty — basically, mythic — and required 25 players to complete, Karazhan was the far-more-accessible outlier: a 10-player raid, perfect for smaller guilds, alt raid teams, or badge-farming runs. For many players, Karazhan was raiding for most of The Burning Crusade. No raid in WoW has ever had to be so much to so many players. A raid that was less engaging, less atmospheric, or less mechanically interesting would have crumbled under the weight of this burden. It would have turned players away from WoW during the period of its most crucial subscription gains. But Karazhan held our fascination throughout the expansion and continues to enthrall us today. We’ve had other bits of news and hints recently that Karazhan will once again beckon us to Deadwind Pass in Legion. New maps datamined from the Legion beta show Dalaran hovering over Karazhan for unknown reasons. We also know that Affliction warlocks will have to visit Karazhan as part of their artifact quest. Step 1 of their quest line says “Make your way into into the Dark Riders’ catacombs beneath Karazhan.” Those last two words — “beneath Karazhan” — have players very excited about Legion because there has always been an area beneath Karazhan and it has never been a place that Blizzard wanted us to go. It is also by far the creepiest area in the game: the hidden crypts of Karazhan. The crypts began as a rumor. As screenshots emerged, many players thought it was a hoax. More and more players found their way in, until it became an obscure but fascinating part of Azeroth. Getting in wasn’t difficult in classic WoW if you knew where to look. A simple metal gate barred the way. You could use polymorph or fear effects to bypass it, or simply die there and rez on the other side. Blizzard eventually placed an invisible wall there, but determined players still found methods to infiltrate the crypts. It’s not easy by any means, but you can still access them today. Upon entering the crypts, players first encounter the aptly named Well of the Forgotten. It’s a wide hole in the ground constructed from large stones. Peering down, you can’t see anything. It’s too deep and too dark. Players brave enough to throw themselves into the Well crash into an enormous pile of bones, the remains of a thousand victims. This room is called the Pit of Criminals. It prompts one to wonder: Were they actual lawbreakers who deserved death, or just convenient sacrifices to whatever dark forces were appeased here? 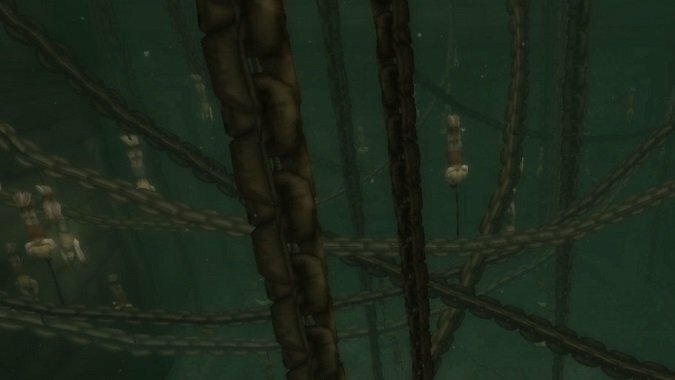 For more than a decade, the Karazhan crypts has been one of WoW‘s great mysteries. A long time ago, someone at Blizzard crafted this place, but so far it has never been used in the game. Was it deemed too intense for the game’s rating? 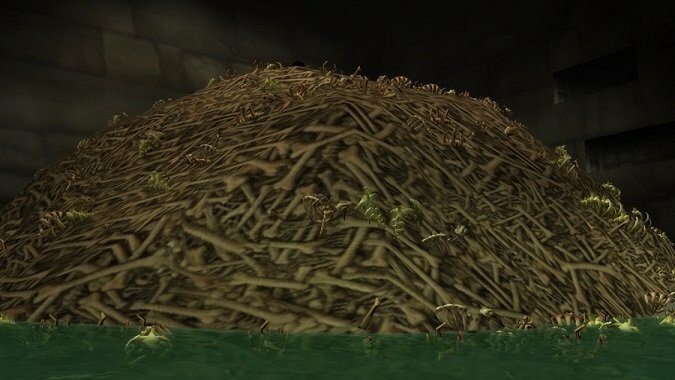 Was it a planned dungeon for classic that Blizzard began to work on but discarded? Did they want to save this part of Karazhan for The Burning Crusade, but then later decided that they didn’t need it after all? More than anything else, I believe Karazhan succeeded because it felt like a real place. Each part of the raid had its purpose: the stables, the dining hall, the guest quarters, the opera house, the library, the game room, and on and on. We fought its horrors from the basement, to its outer walks, and to the very top of the tower. It had secrets. It had a back door. It had Azeroth’s dark history oozing from every cold hallway. Beyond that, it had so much to offer as a raid zone. It had optional bosses, randomly alternating bosses, and an unlockable boss. It had memorable mechanics like Netherspite‘s portals, Illhoof‘s never-ending imp army, the Big Bad Wolf’s Red Riding Hood debuff, and the Shade of Aran’s Flame Wreath (which even inspired this helpful chant). It had powerful loot, such as Gorehowl, the Mongoose weapon enchant, and its own stylish tier sets. It had its own reputation, its own quests, and (of course) an arduous attunement process — but one that was so very worth it. 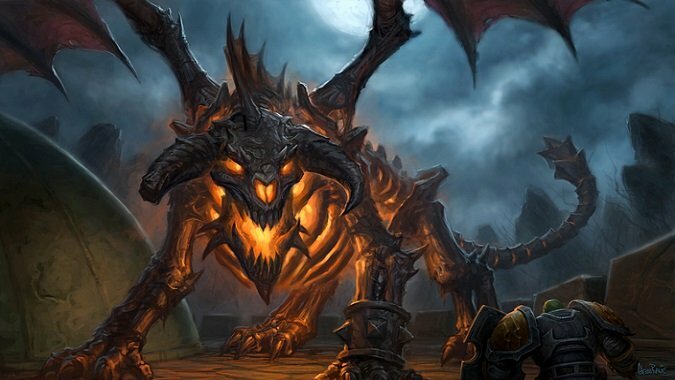 If Blizzard revisits Karazhan in Legion, it will be a bittersweet moment for many players. We have such fantastic memories there that it will be sad when the original version is no longer available. At the same time, I can’t wait to see what an updated Karazhan would look like. Blizzard’s revamped dungeons have been a mixed bag so far. The new Deadmines and Shadowfang Keep are tremendous re-imaginings in my opinion, but Scarlet Monastery and Zul’Aman were merely OK. The new Upper Blackrock Spire, Scholomance, and Zul’Gurub lost too much of the soul that was in the original versions. 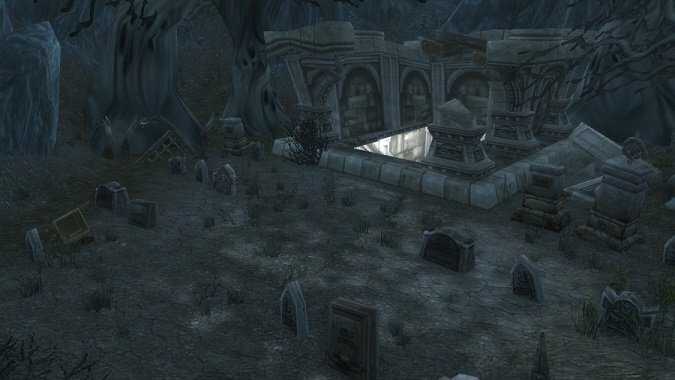 If Blizzard decides to revisit our beloved Kara, I hope that they can move its story forward without sacrificing what made this raid zone such an iconic part of WoW.